Pegasus Healthcare has been a leading supplier of rental equipment to Australian Health Care Facilities and to people living in the community since 1990. Through our program of continuing product and service improvement we offer an unsurpassed, quality assured rental service that enables clinicians to offer the world’s best practice in pressure injury care. We understand that the care environment rapidly changes and that your product requirements to optimise patient care will change. 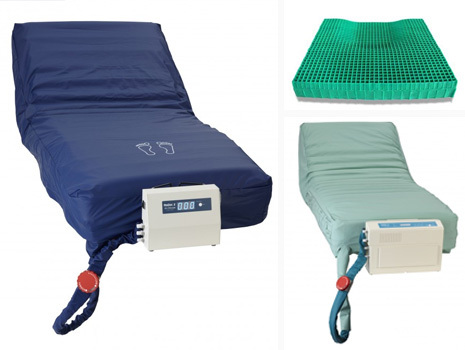 Access to our innovative range of pressure area care mattresses, specialist bariatric products or durable medical equipment on a rental basis will allow you to cope with the varying operational demands being place on you. We provide a 24/7 fully supported and managed rental service that will ensure timely delivery, installation and set-up of the equipment within your facility. Our experienced Customer Service Agents will install and provide training on equipment delivered and upon completion of the rental they collect the equipment and return it to our service centre for decontamination and re-testing. Our equipment rental service delivers ease of compliance with regulatory requirements, reduced work load for your staff, less manual handling and increased efficiencies. Each of our rental customer’s benefit from complimentary access to our market-leading equipment rental management system called VRM Online, which allows you to order, transfer, cancel and track equipment within your facility in real-time whilst also providing essential clinical accountability. We have a range of flexible rental solutions designed to match the specific requirements of each individual customer. Equipment rentals can be accessed quickly on an ad-hoc or consignment stock basis or we offer planned and contract rental services. Access to an extensive portfolio of clinically proven products. Effortless online ordering, cancelation and transfer of equipment through VRM Online. Real-time equipment tracking through our VRM Online. Timely equipment delivery, installation and set-up. Access to Technical and Clinical Support 24 hours per day, 365 days per year.